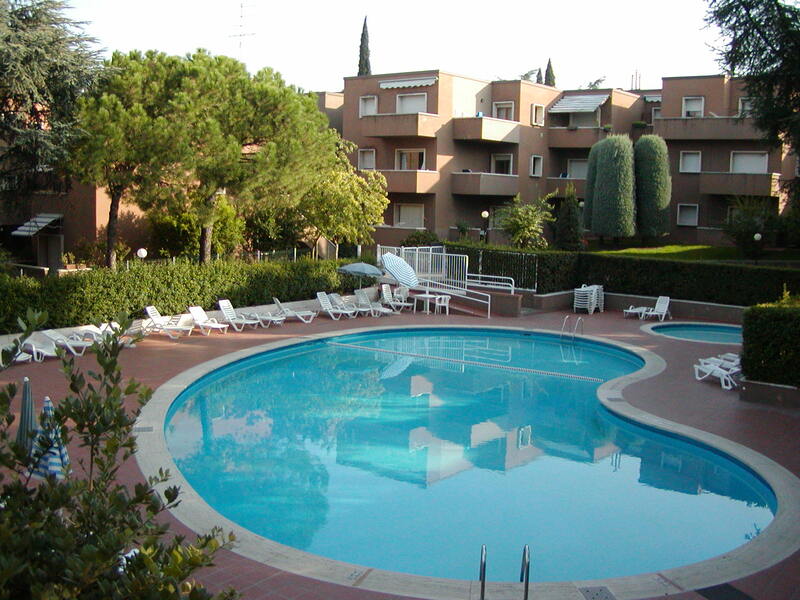 Large apartment complex with swimming pool, tennis court and park in the center of Peschiera approx. 300mt. from the historic center and the lake promenade. The beach is approx. 900mt. far from the complex. Double bedroom, living room with kitchenette and sofabed, bathroom, balcony. Double bedroom, bedroom with two single beds, living room with kitchenette and sofabed, bathroom, balcony.